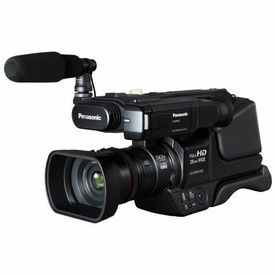 Featuring a perfect grip, this Panasonic camcorder can reduce your video shooting fatigue and make sure you capture all your special moments in great details. The compact and sleek design makes it great to be carried around, so that you never miss capturing those sudden moments that spring a surprise on you every time. The 5x optical zoom, 15x intelligent zoom and 120x digital zoom can reduce your efforts to a great extent as you would not need to move around every time you want to record a distant object. 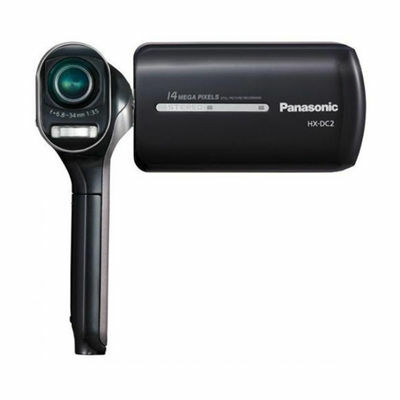 The Panasonic HX-DC2 HD Camcorder with 5x Optical Zoom can easily be held in one hand and can lend you a stable recording experience. 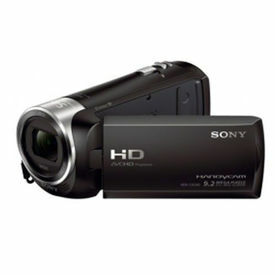 While the memory storage capacity of up to 32GB can let you store all the videos and photos easily, the camcorder enables you to record stunning videos in full-HD (1920 x 1080) MPEG-4 format. 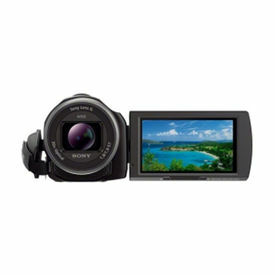 The 3 inch wide LCD screen makes sure you know what you are clicking and can share a good laugh over those with friends while reviewing shots or videos. The Electric Image Stabiliser featuring an Active mode can let you have distinct images and reduce the chances of flickers and blurs ruining the quality of your clicks. The intelligent Auto and panorama mode can help you enjoy panoramic views and let you click creative shots. Coming with both automatic and manual focus, this handy companion can let you have clear images every time you press the button. 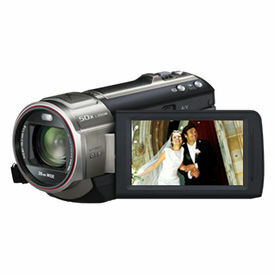 Featuring a perfect grip, this Panasonic camcorder can reduce your video shooting fatigue and make sure you capture all your special moments in great details. The compact and sleek design makes it great to be carried around, so that you never miss capturing those sudden moments that spring a surprise on you every time. 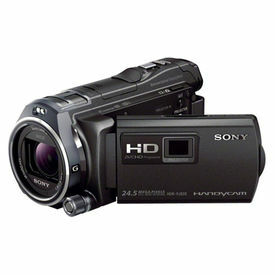 The 5x optical zoom, 15x intelligent zoom and 120x digital zoom can reduce your efforts to a great extent as you would not need to move around every time you want to record a distant object. 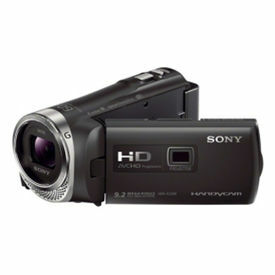 The Panasonic HX-DC2 HD Camcorder with 5x Optical Zoom can easily be held in one hand and can lend you a stable recording experience. 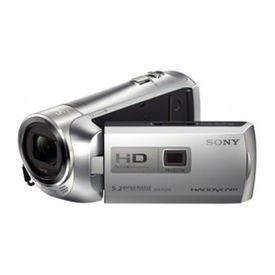 While the memory storage capacity of up to 32GB can let you store all the videos and photos easily, the camcorder enables you to record stunning videos in full-HD (1920 x 1080) MPEG-4 format. The 3 inch wide LCD screen makes sure you know what you are clicking and can share a good laugh over those with friends while reviewing shots or videos. The Electric Image Stabiliser featuring an Active mode can let you have distinct images and reduce the chances of flickers and blurs ruining the quality of your clicks. The intelligent Auto and panorama mode can help you enjoy panoramic views and let you click creative shots. Coming with both automatic and manual focus, this handy companion can let you have clear images every time you press the button.